For most people summer is the time of vacations on the beach and lazy barbeques. But for the runners it’s high time to get up, sweat it out and train for fall marathons. Even during a vacation at a sunny beach. BBDO offices worldwide caught the running disease during the global BBDO Run Challenge that took place in the hot summer period and they are trying to keep pace now, in autumn. So with 90 days left Autumn Training, a part of BBDO Moscow’s global initiative, continues. 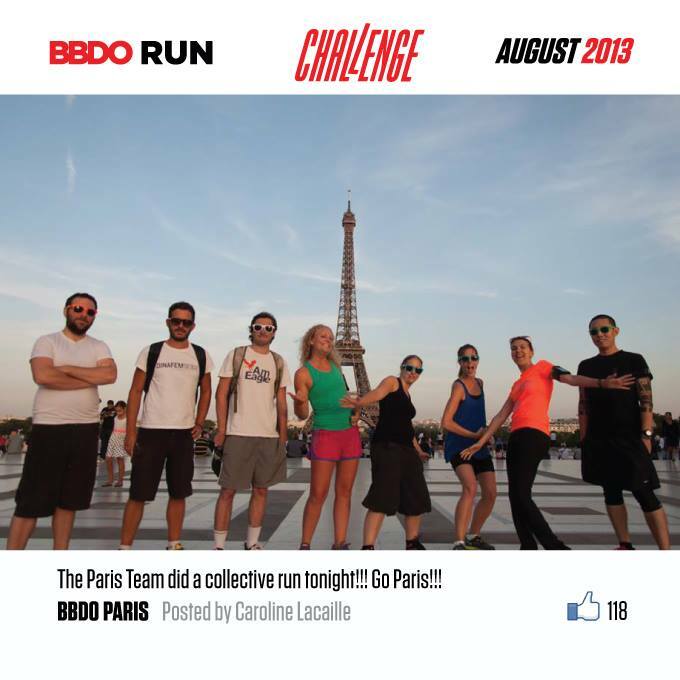 Before Autumn Training there was the global BBDO Run Challenge that connected the network’s offices in a unique running experience. Katerina Guvakova, Client Service Director of BBDO Moscow, catching a chance, presented the crazy idea of this movement going Global to Andrew Robertson, CEO of BBDO Worldwide, in person. Being open to ideas and into sports himself, he supported. It’s actually no surprise, because the running club BBDO Run in Moscow, which had been launched in March, was a huge success. In order to maintain a friendly competition, started by the Challenge, it was decided to continue the mutual running with the Autumn Training, which was launched 1st September and will finish 30th November. So everybody stays connected and can train all together, being aligned with what the colleagues are doing during their training period around the Globe. 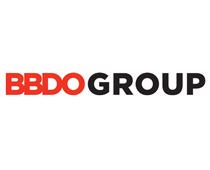 Any BBDO employee can register with BBDORUN. All you need is a BBDO e-mail address and a Nike+ or a Garmin Connect account. It’s that easy. You can view your stats and track your runs in your personal profile. Moreover, instagram pictures hashtaged with #BBDORUN appear on the website, so that everyone can check them out. The purpose of the Challenge was to see which city-team would run further. 22 cities with all the BBDO offices located there (sometimes it was more than one office per city) around the world accepted the challenge: London, New York, Mexico, Sofia, Düsseldorf, Dublin, Istanbul, Paris, Cape Town, Hamburg, Dubai, Atlanta, Madrid, Barcelona, Chicago, Minneapolis, Auckland, Adelaide, Jeddah, Lahore and Makati. All together more than 200 participants ran an incredible number of kilometers — 15331.26 in just a month! Just imagine, IT’S MORE THAN THE DIAMETER OF THE EARTH! Winners were picked by both city and personal results. As the teams subscribing were uneven in terms of the number of members, the team rating was based on the average kilometers run per each team member. Sofia was the absolute winner in the team ranking with just two aspiring runners: Deyan Shivarov and Zlatina Mitova. They ran a total of 629 km, which equals 315 km per person! Deyan and Zlatina got BBDO Run hoodies and a special award — a steel bracelet designed by BBDO Moscow. Everyone, who took part in the Challenge got a pair of memorable BBDO Run Challenge rubber bands. With 38 members the Paris team did not only run over 2500 km. Not only were they picked as the most photogenic team among five others in the picture contest, they’ve also built a strong running team within 3 offices (CLM BBDO, Proximity and New BBDO) as the event helped them to get to know each other and start to communicate. Layla Jaye Jean (BBDO New York) became the best female runner with a total of 288 km and Jim White (BBDO Chicago) left other male runners with no chances with his exceptional result of 580 km! Jim and Layla both got airplane tickets from BBDO Run for the “marathon they’ve trained for”, both of them are still making their choice. The organizer’s team, BBDO Moscow, with 36 active runners managed to reach a total of 2000 kilometers! Natasha Romashova, Copywriter at Instinct (part of BBDO Russia Group), came 3rd in female global ranking with a personal best of 232 km and got a special prize from the Instinct’ client Nike Russia — a pair of brand new Nike Fly Knit running shoes. But, surely, victory wasn’t the goal of BBDO Running Challenge; it was all about connecting and getting to know new people from the network. This event generated live communication between workers on the specially created Facebook page, where everyone could post pictures, share tips and tell everyone about their favorite running tracks. Not only did everyone feeling the fire for a little friendly competition get what they’ve wanted, they’ve also made new friends with the same interests. And with the amount of support and motivation everyone was giving all the way, nobody had a single thought about quitting. The Challenge was a great opportunity to get ready for major running events: e.g. Jim White (BBDO Chicago) and Alfredo Garcia (BBDO Mexico) are taking part in the Bank of America marathon in Chicago this Sunday, 13th October. And Katerina Guvakova and Natalia Chuich (BBDO Moscow) are determined to endure the half-marathon distance of 21 km at Nike Women’s Marathon in San Francisco on 20th of October. The track is hilly and difficult but offers breathtaking course views from the along the Pacific Ocean. BBDO Run doesn’t end with Autumn Training. Runners worldwide are planning on finally together off-line in spring on one of the marathons in Europe. There’s currently a vote on the BBDO Run Facebook page and “Rock’n’Roll Madrid” Marathon is top choice right now. The results will be announced by the end of October, so make sure you’ve voted and don’t forget you can still join and throw down a challenge to yourself!